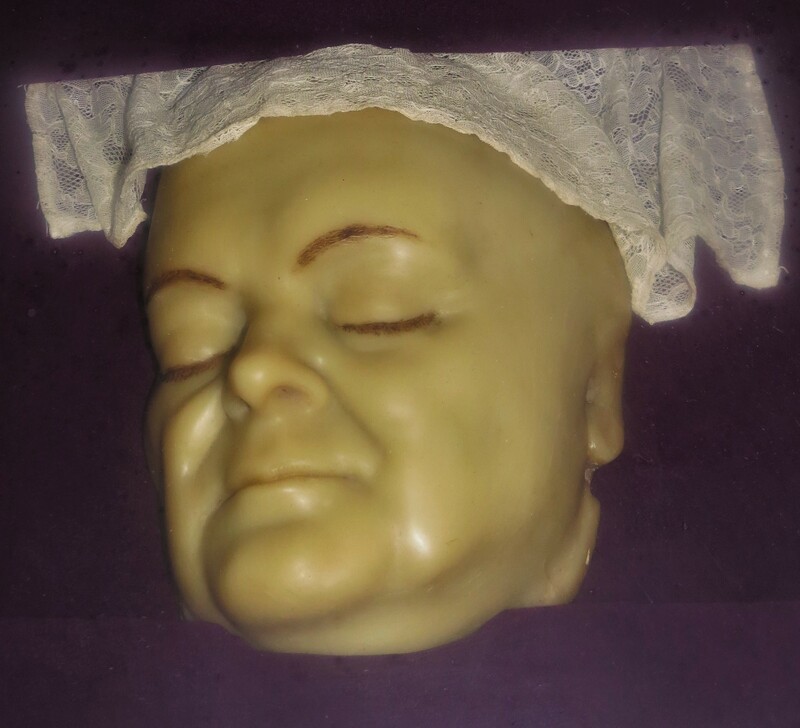 The Museum houses a wax death mask taken one hour after the death of ‘The Liberator’ Daniel O’Connell (1775-1847). O’Connell died in a house in the Via Ponterale, Genoa, on May 15, 1847. He visited Maynooth College just four months previously in January 1847. For more information on O’Connell’s visit see the following article: Woods, Penny (2010) From the Russell Library: Daniel O’Connell in Maynooth. Síolta. The Morse Code system was invented in the 1830s by American artist Samuel Morse. This system of electrical telegraphy utilised a series of dots and dashes to represent letters of the alphabet and numerical values. The College Museum houses an interesting collection of morse signalling keys, receivers and other objects associated with telegraphy. 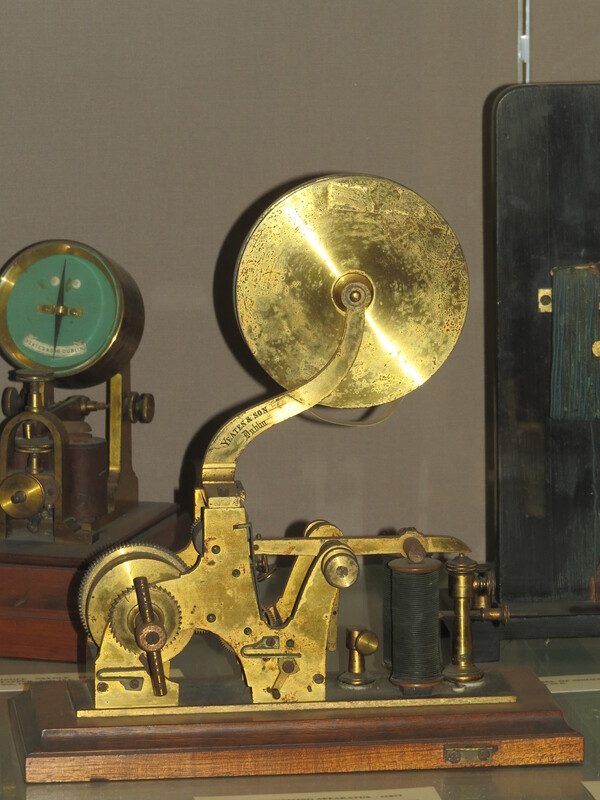 This particular piece (see image) is an electro-magnetic relay system, consisting of two coils wound on wooden bobbins, which attracts an armature of soft iron fixed at the end of a lever which pivots about an axle. At the other end of the lever is a spike which marks a paper tape when a signal is received. The tape is fed from a brass reel, passes between two brass rollers, and winds onto a second reel which is turned by clockwork. The object was issued around the year 1877 by Yeates & Son, Dublin. 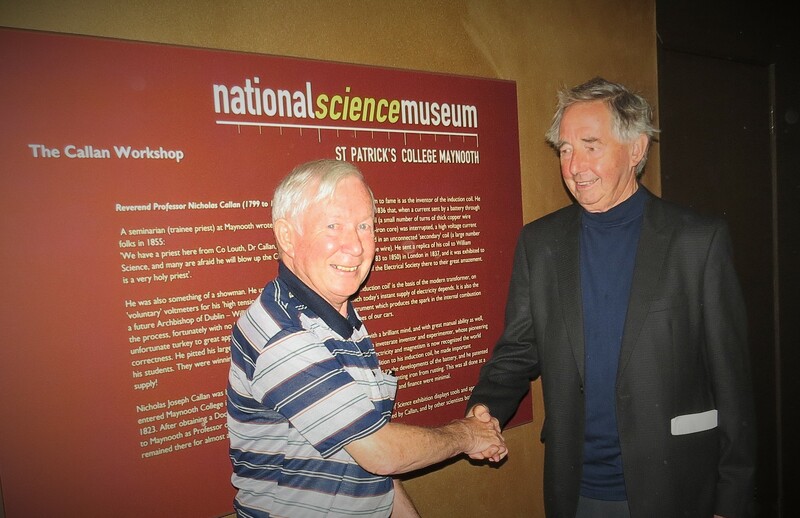 Some years ago Museum Curator Niall McKeith was interviewed about Professor Nicholas Callan as part of the radio series ‘Icons of Irish Science’. 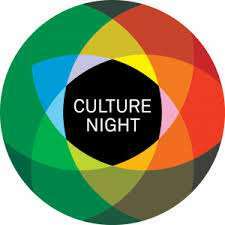 The programme was originally broadcast on RTÉ Radio 1 on 3rd September 2005. 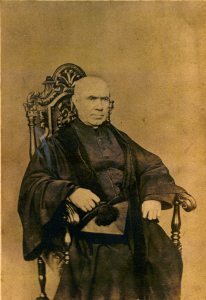 Nicholas Joseph Callan was born on December 22, 1799 and entered Maynooth College in 1816. Callan’s major claim to fame is as the inventor of the induction coil. ‘Icons of Irish Science’ focused on the work of internationally recognised Irish scientists, including George Boole (1815-64), William Rowan Hamilton (1805-65) and Ernest Walton (1903-95). The podcasts (including the Callan programme) are available here. Almost all of the instruments in the science collection of the College Museum can be grouped under the heading of physics, since in general terms they deal with the properties of materials rather than with their chemical composition. Exceptions include the instruments and apparatus which are related to the chemical composition of substances, or to means of studying it, including goniometers and spectroscopy. The measurement of crystal angles is aimed chiefly at understanding chemical composition, as is practical spectroscopy. 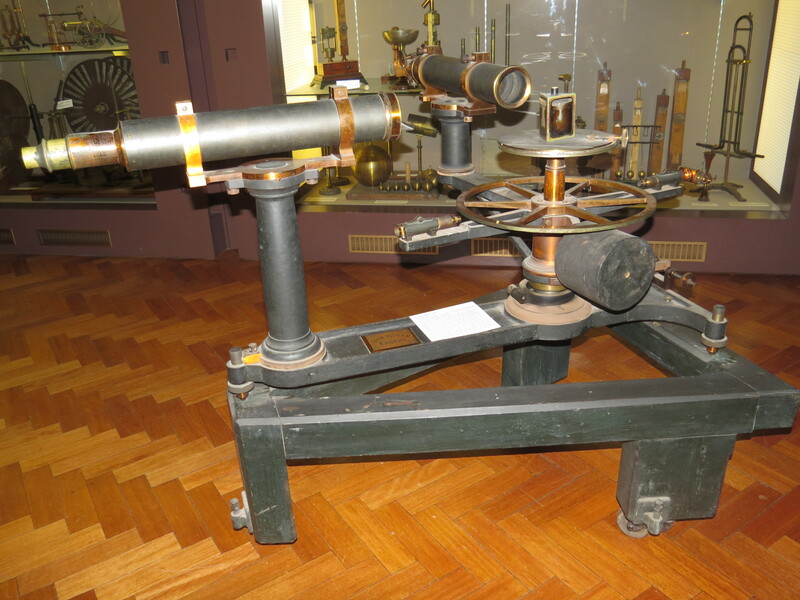 This giant spectrometer was issued by the firm of Adam Hilger, London. Hilger was one of the leading production firms for such instruments in the late 19th/early 20th century. Charles Mollan and John Upton, The scientific apparatus of Nicholas Callan and other historic instruments, St. Patrick’s College, Maynooth, 1994.